Vanessa: Newtown’s Cuckoo Callay, will play host for the next 12 weeks to the highly anticipated ‘Bacon Festival’. We at ForFoodsSake are lovers of the salty swine, so you can imagine our excitement to have been given the opportunity to taste the dishes ahead of the launch. Sadly my fellow FFS members, who are currently on a quest to sample as many burgers as possible in Melbourne, could not attend and as such I was accompanied by my dear friend , who we shall refer to as Mr L.
Before I jump into sharing our experience of some of the culinary creations that Cuckoo Callay will be showcasing during the festival, I will throw a disclaimer out there. Whilst I don’t’ want to discourage readers, if you are vegan, vegetarian or generally adverse to pork products then perhaps this post is not for you! Cuckoo Callay has teamed up with local supplier Black Forest Smokehouse, who source all their pork from local NSW farmers, to bring these dishes to diners. Offering eight bacon-based dishes as well as a number of bacon inspired drinks, there is certainly a dish for everyone who enjoys a bit of pork on their fork! Not only have they thought carefully about every element on each of the dishes, some very creative people have come up with some amusing names to match! First cab off the rank was the “What a Croque of Bacon”($19). 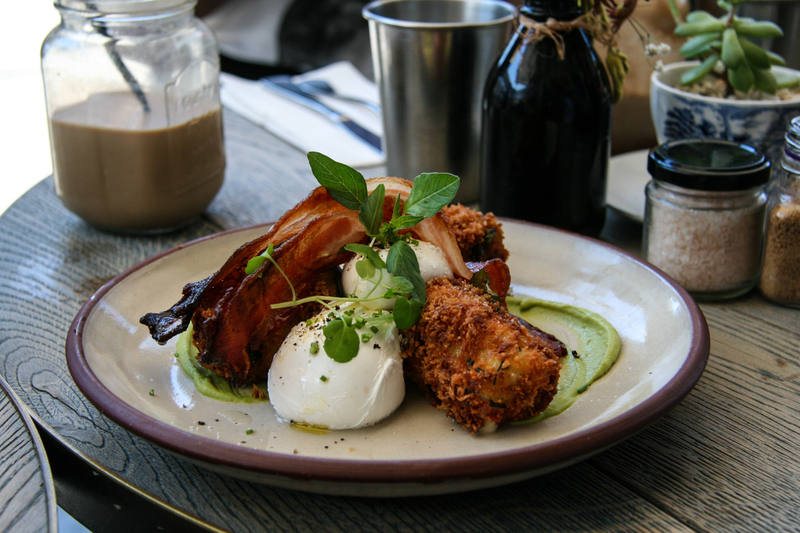 This dish consists of bacon, basil and vintage cheddar croquettes served with bourbon bacon, pea puree and two poached eggs. They say first impressions are everything and this dish had the wow factor to set my excitement levels sky rocketing. The croquet had a perfectly crunchy exterior with soft,cheesy, potato center wich was absolutely delicious. I definitely recommend trying this for breakfast..or lunch really. From the outset I said this would be one of my favourites and it was! Next up was the “Bacon All the Rules” ($24) – the absolute mother of all bacon dishes and not a shred of greenery in sight! Consisting of Black Forest Smokehouse maple bacon, bourbon bacon, bacon steak, bacon sausage and bacon-crumbed poached eggs served on sourdough. It’s a whole lot of bacon and if you are a serious carnivore or have an aversion to vegetables then this is a winning dish. My favourite element was the bacon sausage as you could really taste the quality of the product and I enjoyed the soft texture. The “Bacon Dawg” ($16) is definitely not your average hot dog. This is a substantial meal consisting of maple glazed bacon sausage with gruyere cheese sauce, tomato and quince relish, crackling and dill mustard pickles. The small pieces of crackling add a fantastic crunch that blends well textually with the softness of the bacon sausage. The dill mustard adds a terrific flavor that works so well to lift the heaviness of the other elements. The next dish up was another stand out for me. The “Bacon, Get in Ma Belly “ ($20) consists of three portions of pork belly with sticky sweet chilli and fennel seed sauce with bacon, caper, coriander and lime salad. The pork is sweet with a fantastic crunchy crackling. The coriander salad cuts the richness of the pork perfectly and is well-balanced with the sticky chilli. My feeling is that it might be a heavy dish to eat all three portions, but then again that depends on ones appetite. By this point, Mr L and I were on the verge of entering a full-blown bacon-induced coma, but we were determined to carry on..and I’m glad we did! We were presented with the slider version of the burger known as “Don’t Go Bacon My Heart” ($19). This is a beer candied bacon and popcorn chicken burger served with beer and tomato chutney, mustard aioli and ‘slaw on brioche. A fantastic combo! The presence of the chicken was very much welcomed to diversify from the bacon and all the elements work so well together. Now for the Pièce de résistance! The highly anticipated waffle known as “Ya Bacon Me Crazy” $20 were definitely an overall crowd pleaser. Buttermilk waffle with house-made bacon, caramel and cinnamon ice cream, maple bacon, maple syrup and chocolate coated bourbon bacon. Wow..just wow. The waffle tasted exactly like a cinnamon donut and was soft and fluffy in texture. The caramel and cinnamon ice cream was delicious and the chocolate covered bacon strips brought in that much loves salty and sweet combo. I personally would not be able to eat this dish by myself as it’s a large serve, so I suggest sharing with a friend but it would be a travesty not to try it on your visit to Cuckoo Callay. Having reached tipping point, Mr L and I couldn’t even bring ourselves to try the final dish on the menu, the drizzle sticks ($10) which are chocolate and hazelnut covered crispy bacon strips. Very similar to that which was on the waffle dish. We left, barely able to breathe, but thoroughly satisfied, content and grateful to have experienced the delights of the bacon festival in all its glory. Cuckoo Callay will be offering all the dishes mentioned as part of the bacon festival (alongside their regular menu) for the next twelve weeks. Grab a friend and head on down to sample the creative creations that pay homage to the scrumptious swine! *ForFoodsSake were invited by Wasamedia, all opinions however are our own. 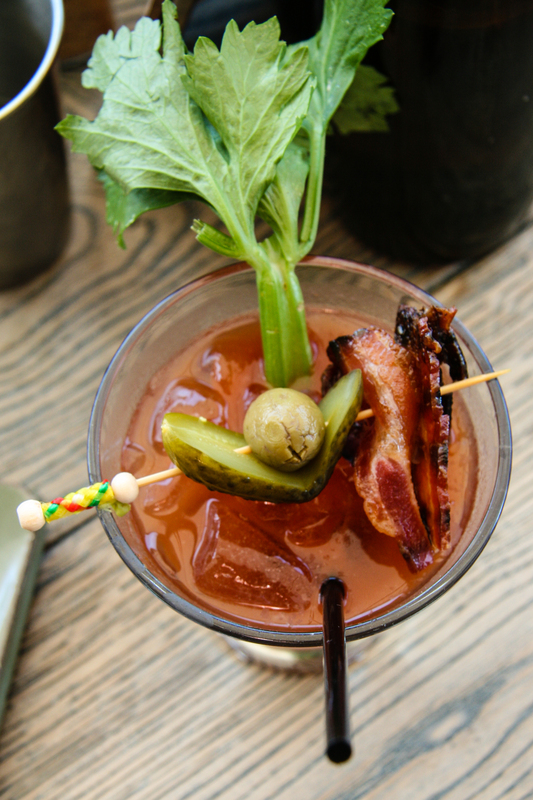 I’m so going to make that bacon cocktail this coming Sunday morning. Look, you don’t have to tell me twice. Just say the word bacon, and I’m there!